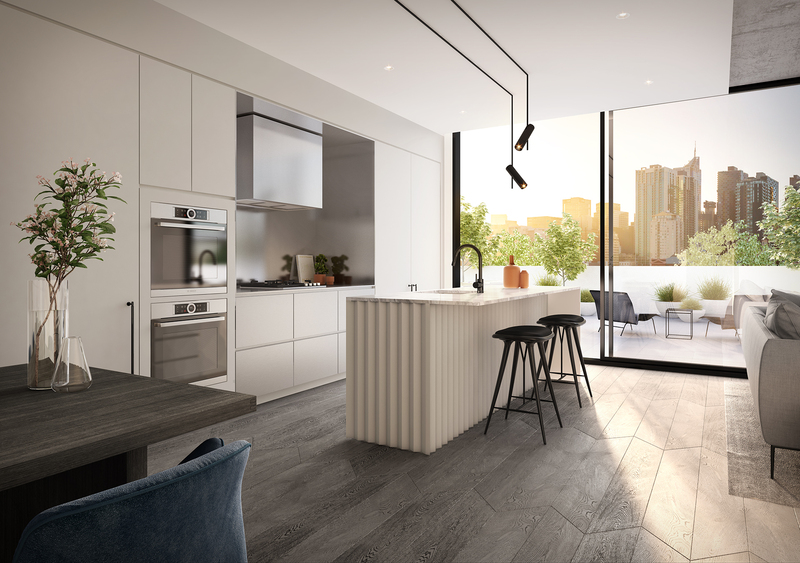 Trenerry Property Group has unveiled the latest addition to their $300 million, four-building, “West End” development, with plans to start construction on the West Melbourne site in July. Trenerry are undertaking the development in collaboration with Victor Smorgon Group and the Kanat family, with the two private investors joining Trenerry on the project in early 2017. 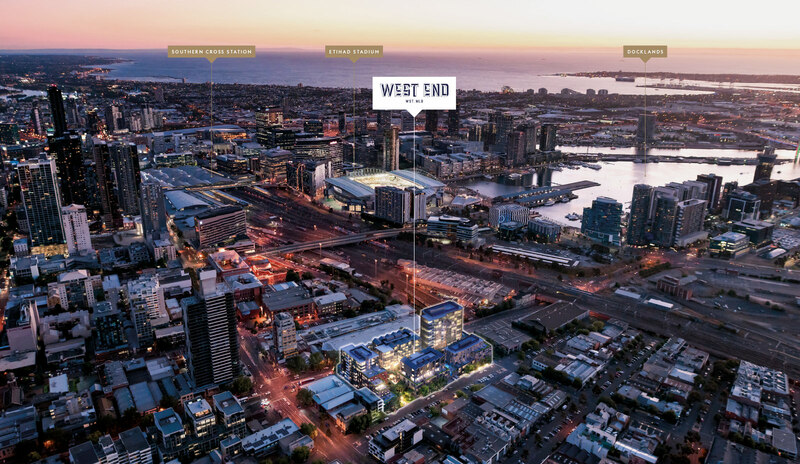 Sitting on a 9,200 square metre site, “West End” comprises 350 apartments across four residential buildings including the 14-storey “Adderley”, eight-storey “The Foundry”, 11-storey “The Spencer” and the 11-level “Mail House”. Four architecture firms have been appointed to design the buildings: Hecker Guthrie, Carr Design Group, Mim Design and Six Degrees. CHT Architects are the principal architect, and ARM Architects are the masterplan architects. Accompanying the apartment buildings will be a 92-room, five star Adina Grand hotel. The precinct will also deliver a hotel, 24-hour concierge service, supermarket and medical centre, a public park, day spa, pool, gym, 50-seat cinema, dog wash and dog-walking service, and half-an-acre of private landscaped gardens and a 24-hour concierge service. Trenerry originally purchased the almost one-hectare site from Australia Post in 2015 for a reported $45 million. “West End brings the best in design together for the first time to create what will be an eclectic community that has a passion for great design at its core,” Trenerry Property director Robert DiCintio said. 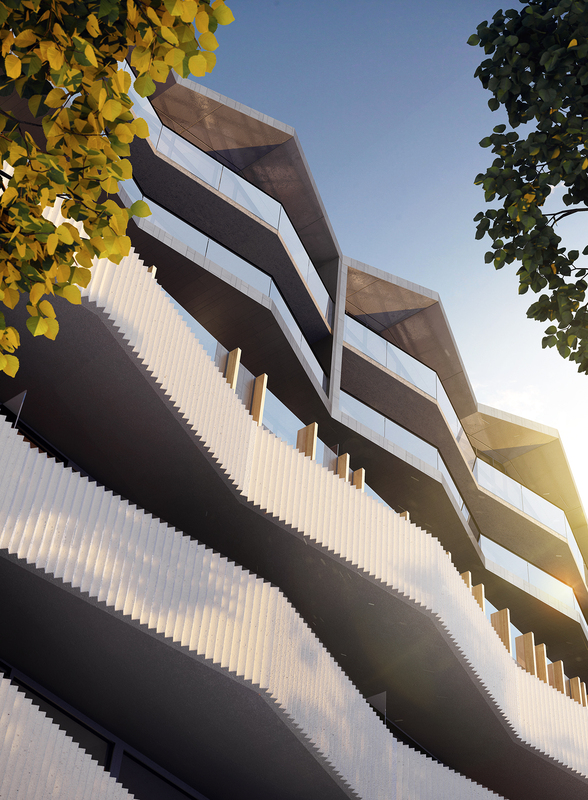 “Great design, complemented with a unique masterplan and amenity offer, makes life better, people happier, communities stronger – West End will be a major energiser for this suburb, which reminds us of Brooklyn 10 years ago. The newest building to launch, the Mailhouse, will feature 98 one, two and three-bedroom apartments over its 11 levels, as well as providing its own hotel-style services and amenities, like room service and cleaning as well as almost 2,000 square metres of gated resident gardens including a 25-metre lap pool, gym, spa and relaxation retreats. Construction is expected to start in July, with the developer hoping to appoint a builder by early-June.